First of all, I am a professional certified hair colorist and color correction specialist in the salon industry for over 20 years now at my day job. You can only imagine how many brands of professional hair color I have tried, and products I have used. I was very skeptical at first when the company sent me samples to try on myself and my clients. I have access to the best, available in salons only, professional color and product lines from Italy and Paris, and I absolutely loath over the counter, drugstore color. 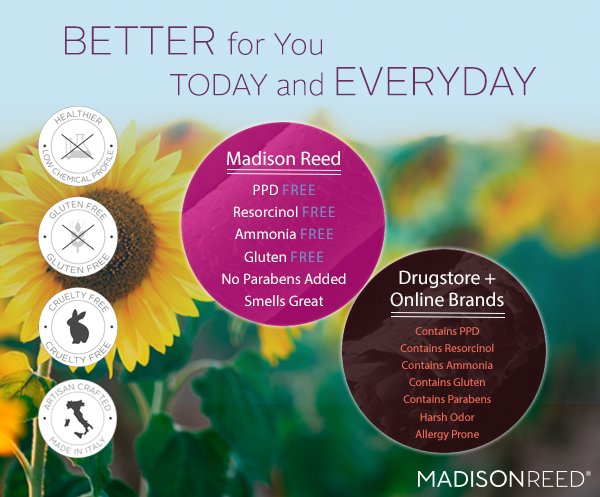 When I saw the ingredients and reviews of Madison Reed products, I decided to give it a try, as I had been looking for products with less chemicals, better ingredients, and less fumes. Working a long day at the salon around the chemicals and inhaling toxic fumes was actually making me ill and tired. 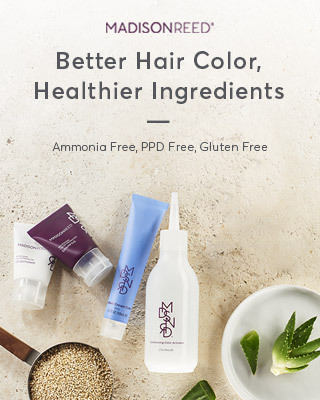 I was also wanting to find products that were cruelty free, less harsh, healthier for your hair, but could still provide lasting grey hair coverage and give my clients the gorgeous, glossy color that they deserve. The color and products amazed me, and that is no easy task! I am super thrilled with Madison Reed's Color Reviving Gloss Treatment! It is a glossy treatment with a boost of color for refreshing your tone. 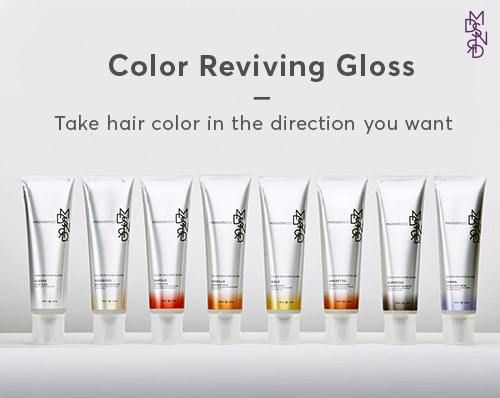 or also comes in a clear color as well for a glossing shine treatment.